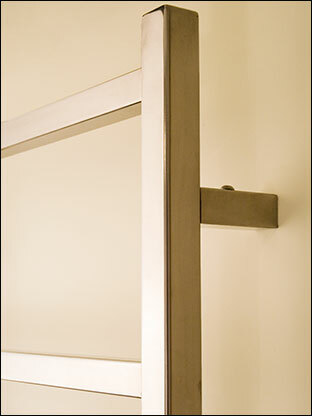 This stylish high quality British made steel towel rail adds quality and contemporary styling to bathrooms design. 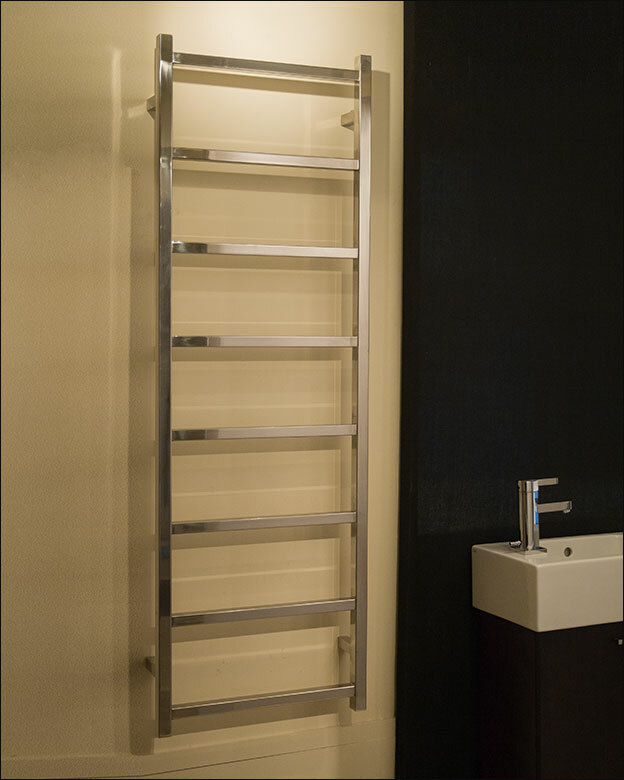 In a ladder style and manufactured in top quality stainless steel this heated towel warmer gives longevity on both open and closed central heating systems. 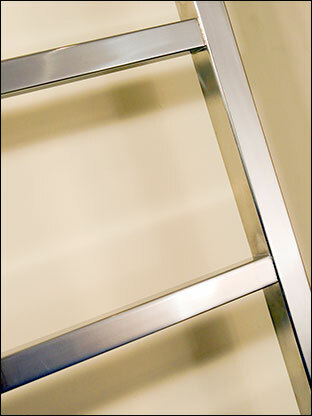 • For central heating systems. • Also dual fuel & electric only. 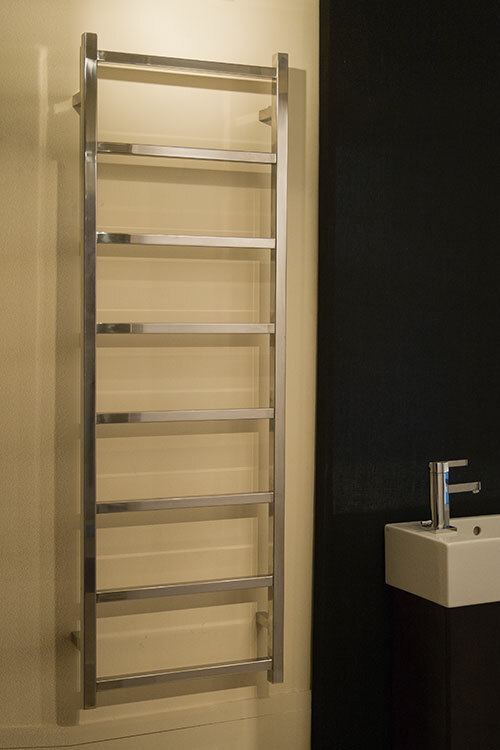 • 7 towel warmer sizes. 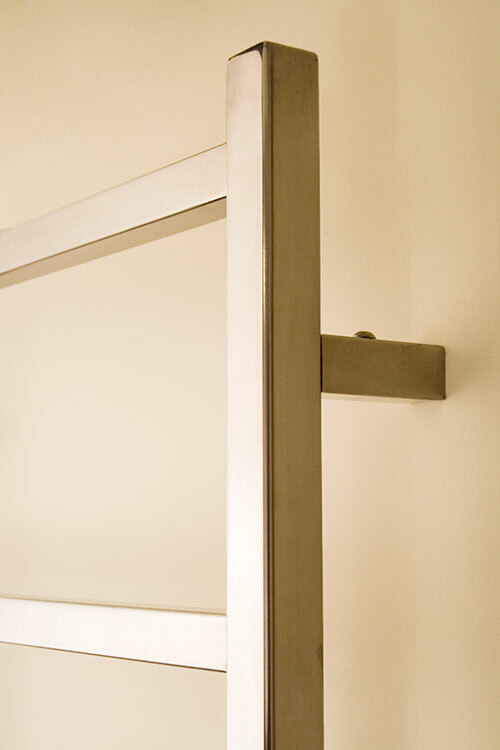 • 100% polished stainless steel. 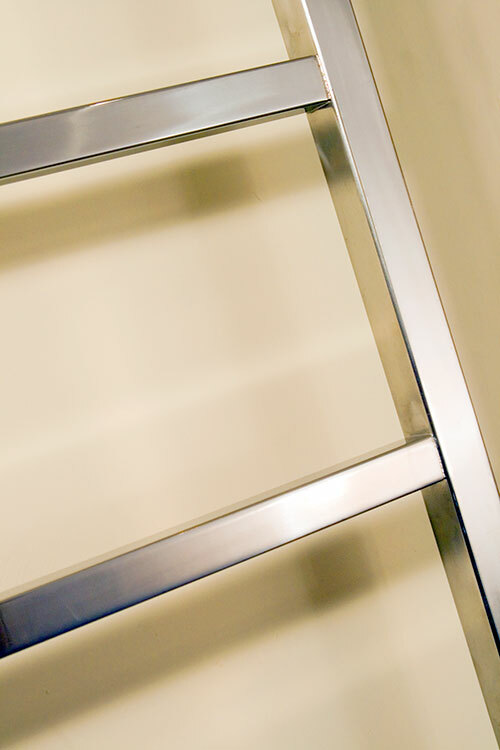 • Include mainland UK delivery.